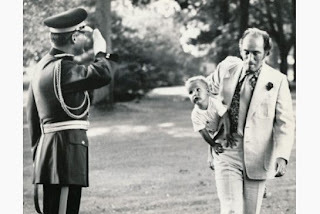 In this Canadian Press photo young Justin Trudeau is brought to the Governor General's residence at Rideau Hall by his father. He is now poised to return, once the voting is over on April 14th, as the new Liberal Party of Canada leader. There is a large field of Candidates but none appear destined to win except for Justin Trudeau, the Member of Parliament for Papineau Riding. Opinion polls now say it all. If Justin Trudeau were Liberal leader in an election now he would become Prime Minister of Canada. With any other leader the Liberals are likely to remain the third party in Canada's Parliament. 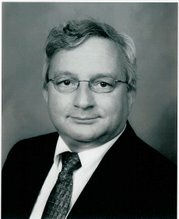 Anyone who says they do not belong to another Canadian political party can register as a "supporter" of the Liberal Party up until March 3, 2013 and they would then have the right to vote in a preferential ballot for the new leader. This is a big change from past procedures of a Leadership convention with wheeling and dealing on multiple ballots. In April 1968, Justin's dad, Pierre Trudeau was the frontrunner, but most of the other candidates on dropping out supported another candidate as part of a stop Trudeau movement. That dramatic convention ended after a fourth ballot with the Minister of Justice, Pierre Trudeau getting a majority of delegate votes and with the now forgotten man Robert Winters finishing second. A later short term Prime Minister and longer term opposition leader John Turner finished in third place. 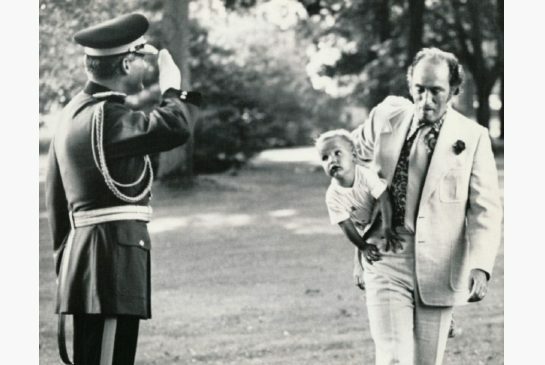 Pierre Trudeau became Prime Minister with Trudeaumania sweeping the nation. A preferential ballot will make it easier for Justin Trudeau to win. He is likely be top choice for the most Liberal supporters and second or third choice for a combined majority he will need to win. No candidate has emerged as a strong alternative to Justin and so those who wish to stop him and make him their last choice will have no clear favourite to rally behind. Interestingly, Justin's common law stepmother, my Osgoode Hall Law School classmate, Debbie Coyne is in the running and doing very well in debates. Nevertheless she has little to no chance of winning and the same goes for other leading candidates, former astronaut Marc Garneau (Canada's first man in space), Martha Hall Findlay, Joyce Murray and Martin Cauchon. While Garneau is in second place he is polling just at or below single digits while Justin Trudeau is polling at about two thirds support as a first choice for Liberal Party supporters. The leadership vote is a great exercise in popular democracy where it is not just delegates at a convention, and using modern technology this system is likely to represent the future of leadership selection in Canada and elsewhere. Once Justin Trudeau becomes leader of the third party he will face trial by fire. No doubt the attack ads from the Conservatives will begin with an attempt to destroy him in the similar way the Harper machine destroyed previous Liberal leaders Stephane Dion and Michael Ignatieff. As leader of the third party in Parliament Justin will still get lots of media attention but it will be a struggle for him to prove himself as party leader and continue to build enthusiasm and support for another two years until there is an election. If he succeeds he will return to Rideau Hall for an adult visit with the Governor General.